Just thought blendswap could use a toaster. 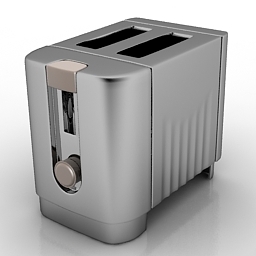 ... cc-0 cc0 cco creative commons libre open source 3d art contemporary style toaster (body only). not geometrically exact. ...setups compositor cc-by-sa ccbysa cc-by ccby cc-0 cc0 cco creative commons libre open source 3d art just a toaster. ...her toasters around on blendswap, but i didn't realise till i was halfway through! sorry :oanyway please comment/like! enjoy! ...pillows 68 3ddd подушка pillows 68. i hope you like it .thank you ! ... fancy take a look at 68 skylark - digital artwork made by willenns. find more 3d galleries and designer portfolios on cgtrader. ...ey sculptures 68 ornament am79 highly detailed architecture ornament with all textures and materials.. evermotion 3d models shop.